Another of the renowned “Candy” series; Dewberry is a mid-season extended blooming dormant tetraploid. 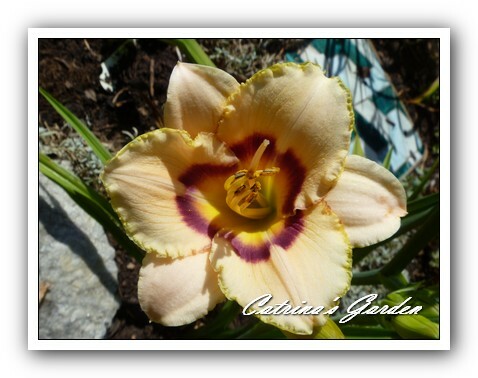 It is a fragrant, cream colored 3″ flower with a dark purple eye and a gold throat. There is a very fine ruffled gold colored edge.